There are a lot of ways to tell you're getting old, and one is the realization that you have watched every presidential general election debate in U.S. history. The saving grace is that the history is short, with TV debates only beginning in 1960. And truth be told, I was just eight years old when Kennedy faced Nixon, and my parents told me I fell asleep during all four debates. But I've studied the tapes since and interviewed some of the key individuals involved in those precedent-setting encounters. Of course, all the early debates were presidential. The vice presidential candidates were barely mentioned in the exchanges, and Lyndon Johnson and Henry Cabot Lodge certainly didn't have their own forum. This innovation was added in 1976 -- after two more vice presidents, LBJ and Gerald Ford, had succeeded to the presidency, underlining the secondary office's importance. Almost certainly, the 2016 debates will have a huge audience, just as in 1960. Remarkably, the total estimated audiences for Kennedy and Nixon ranged from 66.4 million in the first debate to 60.4 million at the last one. In November 1960, 68.8 million people cast a ballot, so it's reasonable to suggest that almost every voter had seen some part of the debates. Everyone knows the story of how JFK's tanned, handsome appearance (with full TV make-up) helped him “win” the critical first debate, and how Nixon's refusal of makeup was a critical miscalculation. This is actually greatly oversimplified. Nixon was sick, had been in the hospital, and had lost a good deal of weight prior to the debate. Nixon had unwisely disregarded the advice of President Eisenhower, who thought he was foolish to give JFK so much free exposure via the debates. Equally damaging, Nixon had agreed to tackle domestic issues first, saving his forte, foreign policy, for last. Then as now, Democrats usually have the advantage when talk turns to Social Security and the like. Nixon's decision was based on an incorrect belief by his staff that the audiences would grow over four debates, and that the last debate, being closest to the election, would have the most impact. Suppose the first debate had been about international affairs. Nixon had traveled the world for eight years, and had even debated Soviet Premier Nikita Khrushchev in Moscow. If Nixon had achieved a convincing edge in the first debate with Kennedy, would he have won the squeaker in November? This “what if” can never be answered. The 1960 Great Debates were sober, polite, issue-oriented sessions. There were stunningly few barbs, little disrespect shown to one another by the contenders, and hardly any punchy sound bites designed to dominate the headlines. The office of president was taken very seriously in the Cold War era, and gimmicks and hijinks would have been frowned upon. The novelty of these debates and the newness of the television era made both sides cautious. This year, we'll be lucky to go five minutes without a memorized bite or nasty attack. Donald Trump will likely launch many broadsides -- and some will be highly personal. Hillary Clinton is no shrinking violet and will fire back with the ammunition her team has been accumulating for months. Trump and Clinton have been practicing their moves with advisers and managers for many weeks. Surprisingly, Nixon did little preparation and believed his career itself was all the training he'd need. Kennedy took the debates very seriously, realizing he'd have to do well as a relative unknown compared to a two-term vice president. Yet even JFK's practicing was mainly limited to studying arguments and quotes on note cards, just like college debaters of the time did. In the pages of history there has probably been too much emphasis on Kennedy's professional makeup and Nixon's wan appearance. Yes, it mattered, but polls at the time showed Nixon recovering from the setback and effectively tying the contest toward the end thanks to President Eisenhower's campaigning on his behalf in the final days. 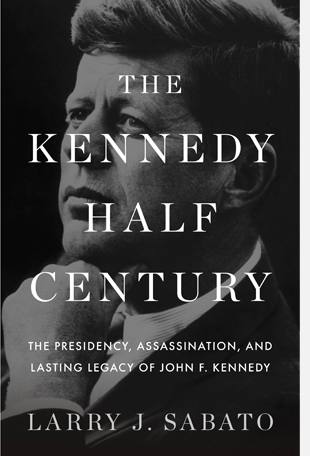 For those of you who would like a bit more detail on the Nixon-Kennedy debates, you might enjoy the following excerpt from my book 1, The Kennedy Half Century: The Presidency, Assassination, and Lasting Legacy of John F. Kennedy. There were no precedents, and the campaigns were flying blind. Notice how many miscalculations there were. Expectation and reality are usually very different. Even with over a half-century of experience to draw upon, the well-laid plans of one or both candidates may be upended in 2016, too. That's one of the reasons we watch. Kennedy scored even more political points when he debated Vice President Nixon on national television. According to Ted Sorensen, JFK was “amazed” when the vice president agreed to four TV debates. “Nixon was apparently confident that having defeated Khrushchev [in the famous 1959 ‘Kitchen Debate' in Moscow], he could certainly defeat a young, comparatively unknown United States senator,” Sorensen recalled. Eisenhower advised Nixon to avoid the debates “on the grounds that Nixon was much better known than Kennedy and therefore should not give Kennedy so much free exposure.” Nixon ignored the advice. He had known Jack Kennedy for years and felt certain that he could derail the senator's campaign. Sorensen and Meyer “Mike” Feldman, another Kennedy campaign adviser, used note cards to train their man. “Mike had prepared a little blue card with Kennedy's position, Nixon's position, the positions of the two party platforms, and any votes or comments that either candidate had made,” said Sorensen. Kennedy would either say “I know that one, go on to the next one” or request additional information. On the afternoon of the debate, JFK took a nap. “The story I like to tell is of when they delegated me to go wake him up,” Sorensen recalled. “I opened the door and peeked in and there he was, lights on, sound asleep, covered in note cards.” Kennedy was also glowing with a healthy-looking tan, having practiced with Sorensen on the sun-splashed roof of the hotel. Still sick from a stint in the hospital after a knee had become badly infected, Nixon refused to wear professional makeup for the debate. But he did allow an aide to slather “Lazy Shave” on his perpetual five o'clock shadow. According to TV debate director Don Hewitt, Sorensen admitted that Kennedy had gone “behind closed doors and out of sight” to receive a “light coat” of makeup. In Nixon, Americans saw a physically unimposing man on their screens, dressed in a grey suit that faded into the set's background. The Republican was “half slouched, his ‘Lazy Shave' powder faintly streaked with sweat, his eyes exaggerated hollows of blackness, his jaw, jowls, and face drooping with strain.” Kennedy, on the other hand, looked healthy and confident. Questions about his youth and inexperience no longer seemed as relevant. The young man from Boston had shown that he could at least hold his own with the vice president of the United States, and maybe best him. Rose's and Hannah's contradictory opinions were shared by many other Americans. According to a survey conducted by Sindlinger and Company, those who saw the debate on TV believed that Kennedy had won the debate; radio listeners arrived at the opposite conclusion. While there is no irrefutable polling or statistical evidence that the Kennedy-Nixon debates had a decisive impact on the election, or even that Kennedy “won” the first debate or the others, reporters following the campaign almost unanimously adopted that point of view. Campaign professionals on both sides cited anecdotes that supported the reporters' conclusions, and these informal assessments changed the tone of the coverage and perhaps the momentum of the campaign. Whether the pro-Kennedy assessment of the debates originated with the public or the press, there is little question that Kennedy received a perceptible boost. Television sets had replaced radios in many American homes by the time this campaign got under way. In 1960, 88 percent of U.S. households had one or more TV sets, an 11 percent jump from the previous decade. Whatever the real political impact in 1960, the Kennedy-Nixon debates became mythical, and they are a sizable part of the Kennedy legacy. Every four years, the story of Kennedy's “triumph” leads the run-up to the presidential debating season, recycling the flickering images of those dynamic encounters. The contrast between JFK and Nixon on-screen still serves as a warning to politicians who are ill at ease on television. It is no accident that both LBJ and Nixon -- two of the more media-awkward presidents -- refused to participate in any TV debates in 1964, 1968, and 1972.